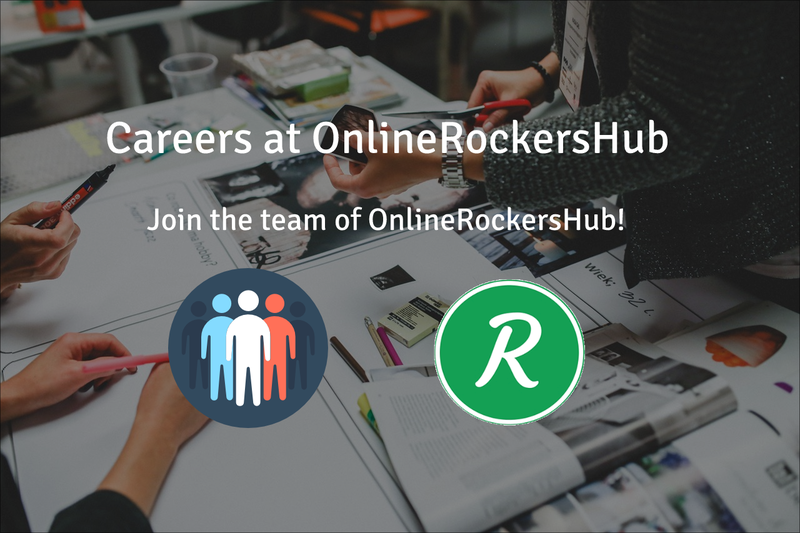 OnlineRockersHub has been a great place for sharing knowledge. Now, it can also offer you a career. I always wanted to build OnlineRockersHub into a top-level website. I have worked harder for this. In this journey, I realized it’s impossible to do this alone. I need a team to carry out this. And that’s the reason, why I am recruiting interested people. Let me list down various careers at OnlineRockersHub. I do expect writers to have some knowledge on certain topics before they apply for this career. I expect my writers to have basic knowledge of SEO and WordPress. And he/she must be willing to learn techniques on the go. I expect my developer to have good coding knowledge of CSS, HTML, Js, PHP, and MySQL. My developer should be able to work on new templates, plugins, and themes. I do have a lot of quotes to publish. But, I couldn’t find time to create images. I want a graphic designer to create quotes for my site. I also expect my designer to create featured images and infographics for my blog posts from time to time. These are the team members I require as of now. As time goes, I will be requiring more experts.